When I put the VR glasses on for the first time, the experience took my breath away. Even though I knew this was only a 3D model, the fact that it was based on our unborn child and the power of this immersive experience really blew my mind. For the first ten minutes is was just sitting still on the floor watching her floating in the air next to me. It was very emotional and calming, yet unreal. So, is this the future of ultrasound? 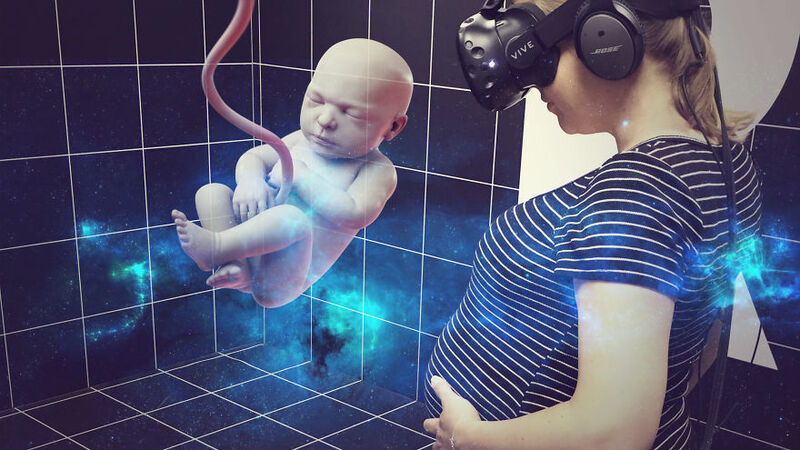 Shall we all get to “meet” our unborn babies in VR experiences soon? I think services of this kind of could be offered in the near future, but at the moment the quality of the scan is still too blurry, and the process involves too many manual steps. Then again, it certainly is worth the effort. She learned a lot more, so check out the piece for additional info.